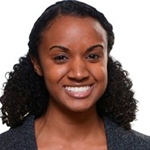 Dr. Sheree Brown is a Chicagoland-based physician with an interest in physiatry, particularly in women’s health and postpartum pelvic floor therapy. She is especially passionate about holistic wellness rooted in nutrition, mental health, exercise, and overall lifestyle management. She loves helping people make intentional decisions, whether big or small, toward achieving their life goals. The interest to pursue clinical and scholastic endeavors in the field of physical medicine and rehabilitation is what drives Dr. Brown to constantly expand her horizons and build upon her foundation of medical knowledge. Moreover, the zeal to incorporate volunteerism into all aspects of her academic and clinical career is what shines through her professional ethics. Contributing Author: Handbook of Multicultural School Psychology: An Interdisciplinary Perspective. Routledge, Taylor & Francis Group, 2017. Contributing Author: Amantadine & Cryoablation treatment for Gait Apraxia & Hand Tremor secondary to Paraneoplastic syndrome from Renal Oncocytoma: A case report Association of Academic Physiatrists. Presenter: Care and Management of Adolescents in the Emergency Department, Rush Medical College Chicago, IL.